Want a patio that’s a bit more exciting than plain old grey concrete? 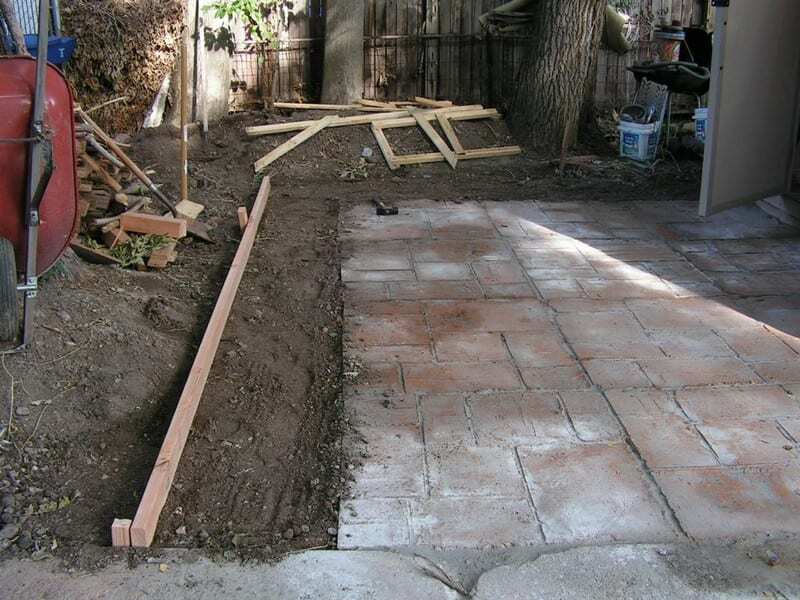 This project will give you a great looking patio at a fraction of the cost of a professional job. The design used in this patio is made with a handmade pattern. The owner had come across plastic forms for making walkways, but didn’t find the size or style he wanted. Instead of spending money on a product that didn’t meet with his needs, he decided to make his own. The result is this brilliant form. It’s cheap, easy to make, and has all the qualities he needed. 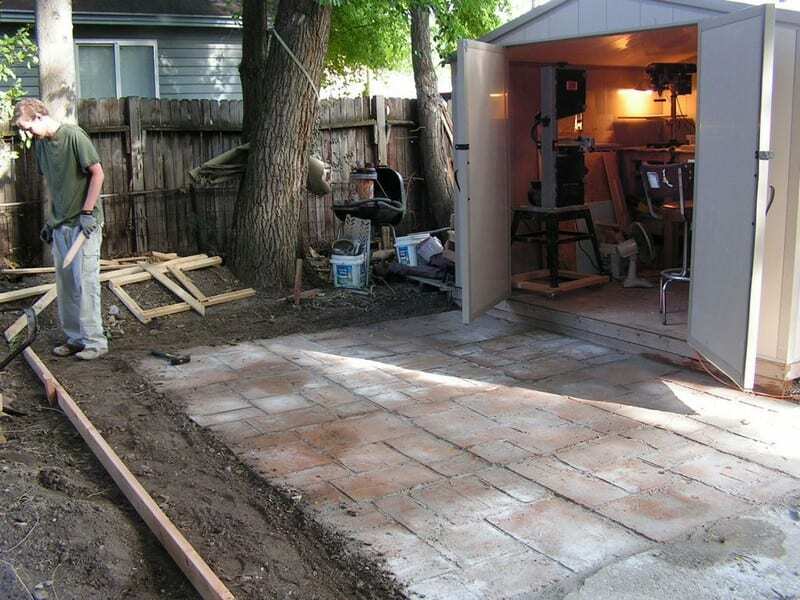 Want to build a completely customized patio? Then this project is for you! I built a simple mold with 1/4″ X 3″ poplar stock from the local big box hardware store. Then I used 1/4″x 1/4″ square stock to make a decorative pattern. The whole thing was held together with grabber screws. I used Vaseline as a release. 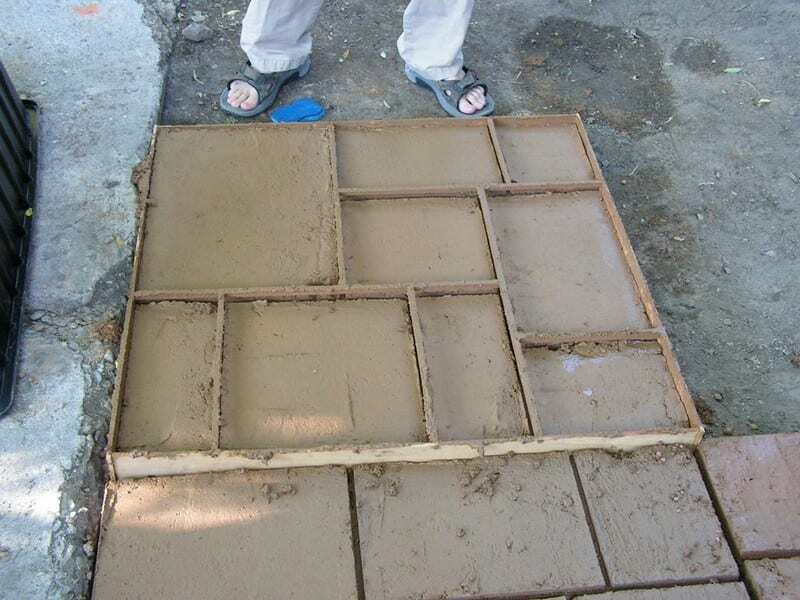 It took approximately three (80 lbs) bags of cement to fill one form (3 foot x 3 foot x 3 in) so after I got the form in place and level I mixed the cement coloring with the water and then mixed the cement into a fairly workable texture. Then pour the cement into the form and work it around until all of the air pockets are worked out. It is important not to leave any aggregate from the cement on the top of the form, this will make it harder to remove later. 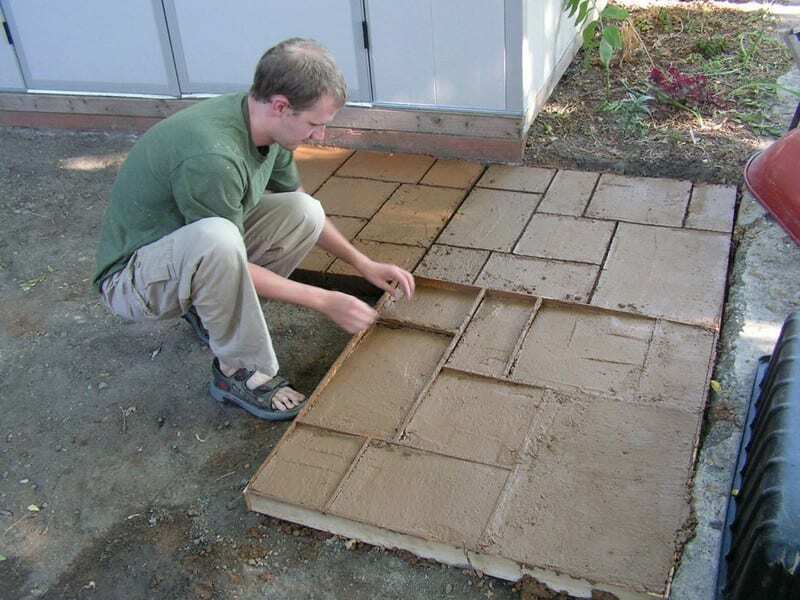 Wait around two hours for the wet cement to harden enough to allow the form to be removed. Gently tap on the surface of the wood form to release it and slowly work the form up and off. There was some cracking but don’t worry about it. The mortar will fill in any voids. Finally after allowing all the cement to cure I swept in the mortar into the cracks and wet it down gently with the hose. The mortar ties the whole piece together and reinforces the cement as well as filling any voids. Thanks to bassman76jazz for this great project. Enhance your yard by making glow in the dark stepping stones! How much colouring did you use to vary the nature of a monotonous flat surface?